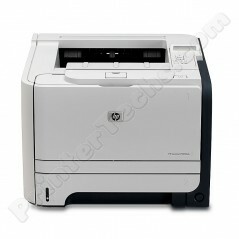 This is a compact, speedy laser printer. Ideal for home office and small office settings. Intended for users who won't be print as heavily or need the accessories available to users who prefer the LaserJet P3015dn and LaserJet P4015dn series printers. Printer's features include: cassette tray with 250 sheet capacity, fast printing (35 pages per minute), a built-in network card, and built-in duplexing (2-sided printing). This is a compact, speedy laser printer. Ideal for home office and small office settings. Intended for users who won't be print as heavily or need the accessories available to users who prefer the LaserJet P3015dn and LaserJet P4015dn series printers. Includes 1 cassette tray with 250 sheet capacity, fast printing (35 pages per minute), a built-in network card, and built-in duplexing (2-sided printing).